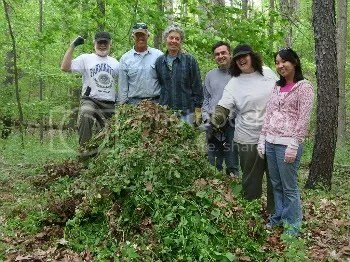 A group of MNA volunteers recently took a trip out to the Lyle and Mary Rizor Nature Sanctuary in Livingston county to pull invasive garlic mustard from the property. Located just south of River Walk Drive in the Shannon glen subdivision, Rizor was established in 1977. This sanctuary was originally purchased by the Rizors as retirement property. When they realized its value as a natural area, they chose MNA ownership as the best means of assuring it would never be subdivided or developed. Small creeks travel through the sanctuary and eventually flow into the North Ore Creek, which is part of the Shiawassee River system. Portions of the sanctuary adjacent to the small creeks contain southern floodplain forest – one of Michigan’s most endangered habitats. This forest provides food and shelter for many animal species and benefits humans by providing areas for water overflow to prevent upland flooding. Senghas Memorial Nature Sanctuary was the Michigan Nature Association’s very first sanctuary! 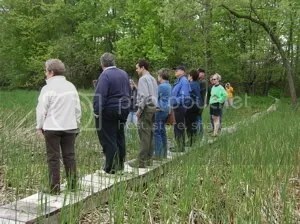 Originally named Redwing Acres, this 40-acre sanctuary was established in December of 1960 when the Michigan Nature Association was known as the Macomb Nature Association. 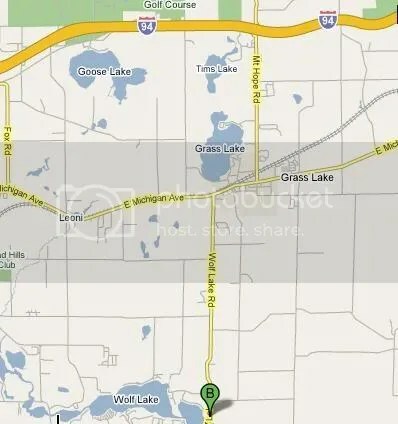 Although this area is part of what was once called the old Capac Swamp, its character has changed dramatically since the 1800s as a result of intense draining and conversion to agriculture. The resulting peat fires, the first of which occurred in 1873, eliminated much of the original vegetation – boreal cranberry and marsh plants. 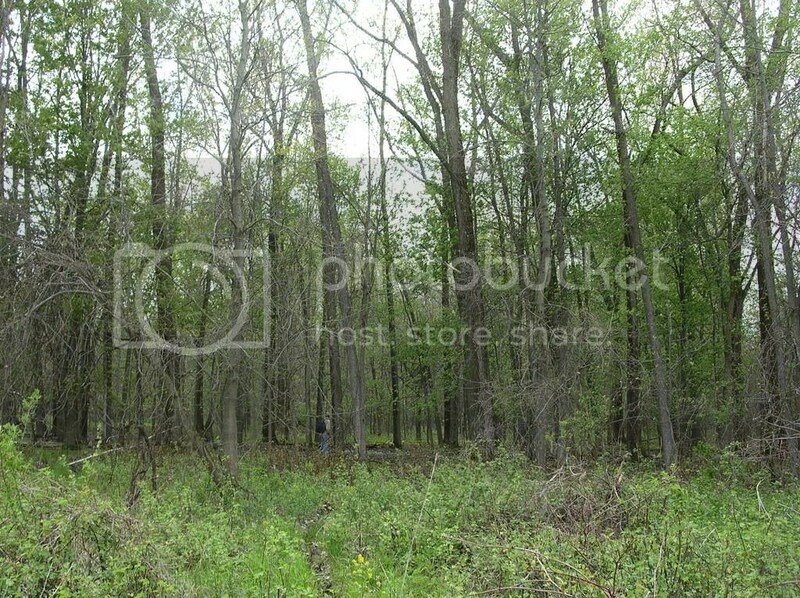 The southern hardwood swamp that you see today is home to a variety of trees including black ash, white ash, red maple, eastern cottonwood, quaking aspen, white oak, swamp white oak, black oak, basswood, American elm, and black willow. The sanctuary is also home to prickly gooseberry, elderberry, common blue violet and many nesting birds. 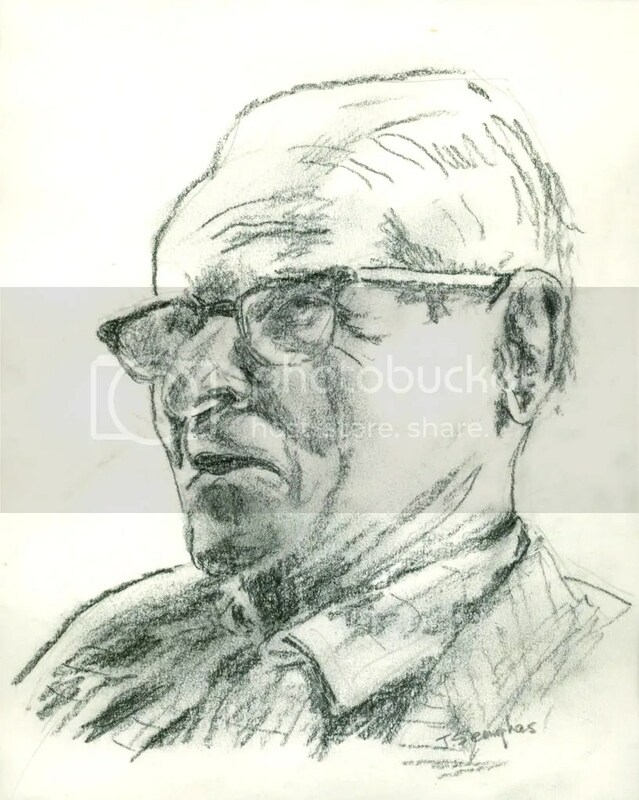 Raised in rural southern Ontario, Louis G. Senghas enjoyed the outdoors. He and his wife Joan met Bertha Daubendiek at a St. Clair Metropolitan Beach meeting, and later they became three of the original thirteen founders of MNA. Louis served as MNA’s first President and was involved with several projects over the years, including fence-building at this sanctuary. Explore the Red Cedar River nature sanctuary through this photo slideshow. 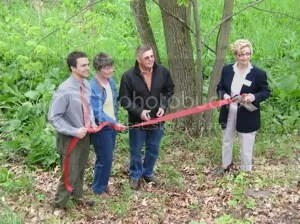 The Red Cedar River Floodplain in Williamston was dedicated this Saturday. It is very uncommon for MNA to acquire land within the boundaries of a city. In fact, we only have five such sanctuaries in the state. Land within cities is usually far too expensive and too degraded to be plausible for an MNA nature sanctuary. Of four previous nature sanctuaries within city limits, three, Helmer Brook, Alice Moore Woods and Dauner-Martin, exist because of the generous donation of the land on which they sit. The fourth Twin Waterfalls was purchased because of the value of the two waterfalls. They are all rare in that they have retained their natural character despite their proximity to urban areas. In only the fifth such case in our history, a generous couple donated a ten-acre piece of ridge and floodplain habitat along the Red Cedar River within the city limits of Williamston in mid-Michigan. Doug and Darlene Price of Williamston want to preserve this portion of their land for the surrounding residents and the general public to enjoy. Doug and his engineer, Dave Geyer, worked with MNA to protect important parts of this habitat by changing the original plans for development of surrounding oldfield. The number of lots was reduced and the area to be preserved expanded to include much of the valuable floodplain ridge. This inclusion of the high ridge will help protect the integrity of the floodplain and give visitors a place to hike during spring flooding. 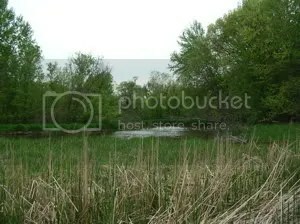 The ten-acre area is surprisingly intact considering it has been so close to Williamston, and it is full of native wetland species such as marsh marigold, blue flag iris, skunk cabbage, jewelweed and blue beech. The floodplain ridge is home to large black cherry and red oak with spring beauty and wood anemone growing under these towering trees. Another wonderful aspect of this area is that this stretch of the Red Cedar River has not been channelized like so many riparian areas around the state. The river still exists as it did when settlers first traveled down the narrow trail that is now Grand River Avenue from Detroit to Muskegon. 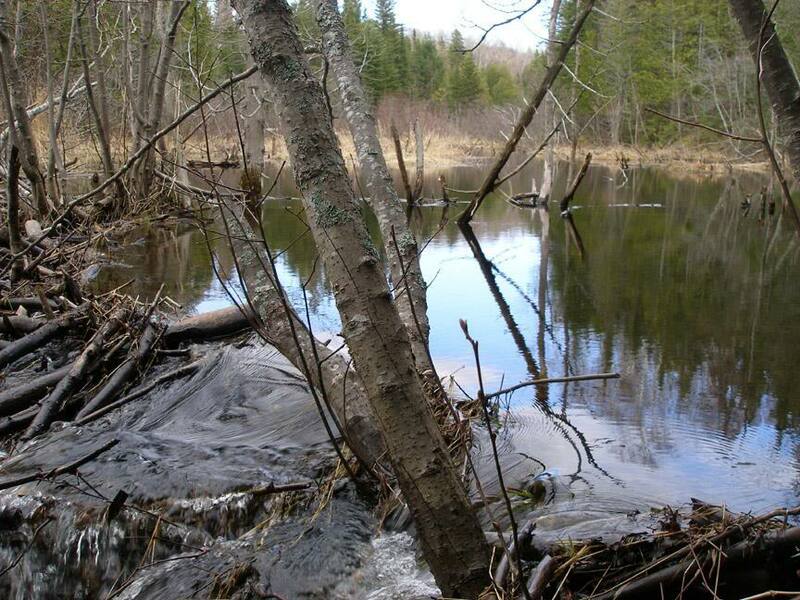 MNA’s Black Creek Nature Sanctuary is made up of 242 acres of beautiful habitat in Keeweenaw County. A small footpath marks the entrance to Black Creek near the end of Sedar Road between Calumet and Allouez. The trail will take you to the 1300 feet of Lake Superior shoreline that MNA protects as well as the beaver marshes, dune habitat and conifers that surround the creeks. If you visit the sanctuary be sure to see the lagoon where Black Creek and Hills Creek meet before entering Lake Superior. This area is especially rich in wildlife and scenic beauty. 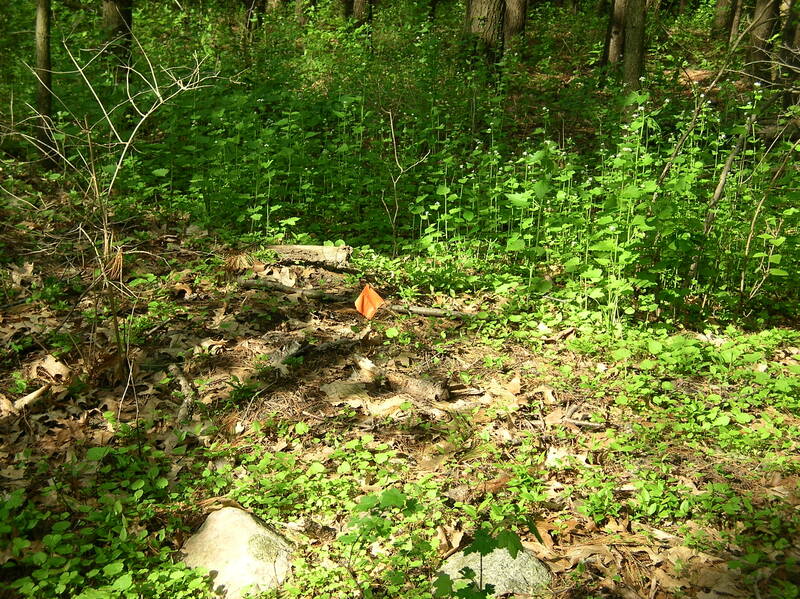 It is very important to address invasive species like garlic mustard in our sanctuaries. Garlic Mustard is a native plant of Europe and many people believe it was introduced to the United States as a cooking herb. Once it is introduced into a habitat it spreads rapidly because of the large amount of seeds it releases and its tolerance of low-light areas. Garlic Mustard takes resources like soil nutrients and water away from native plants, making it very difficult for native species to survive. 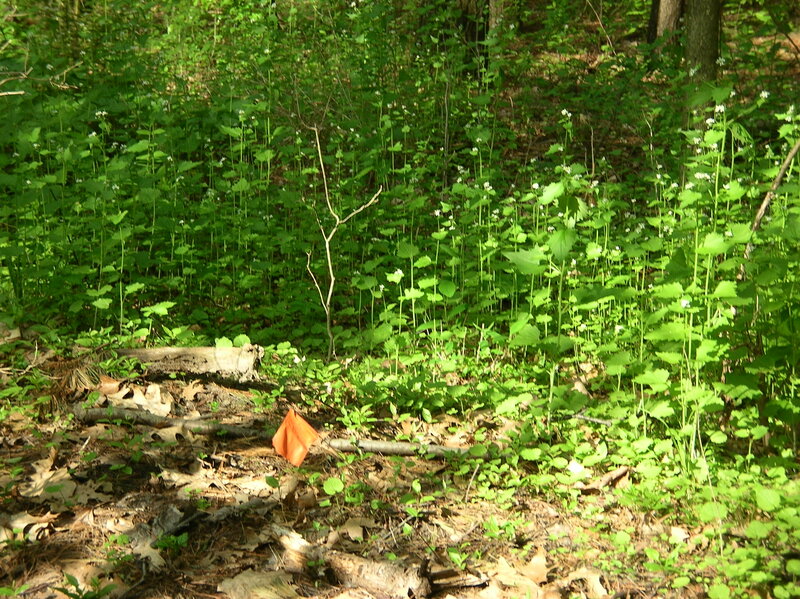 New research has revealed a compound released by Garlic Mustard root systems which depresses the growth of native grasses and tree seedlings, even further explaining its dominance in forest ecosystems. MNA leads volunteer trips to our sanctuaries to pull this invasive species out of the ground and take it out of the habitat so that it cannot spread its seeds. 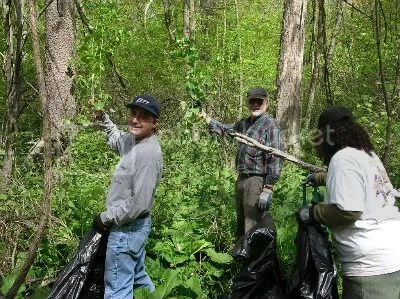 If you would like to find out more about how you can help with these projects, or any other volunteer opportunities please visit http://www.michigannature.org/home/how_help/calendar.shtml. 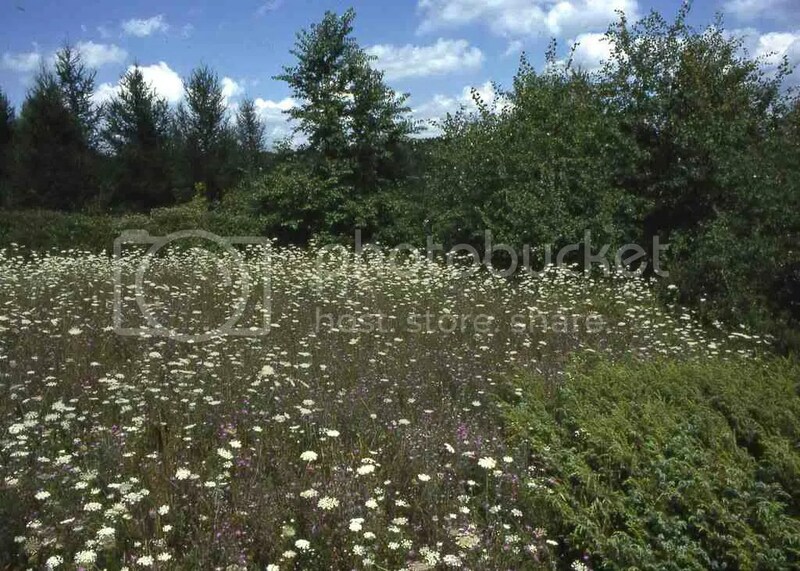 The Lefglen Nature Sanctuary in Jackson County was purchased from Lefty and Glenna Levengood and dedicated on October 24, 1971. They were nicknamed “the two nature nuts” by property owners in the area because of their passionate work in purchasing and preserving the land they sold to MNA. Lefglen sanctuary is very diverse and contains many different habitats including wooded upland, cattail marsh, swale, lakes, tamarack bog, oak groves and prairie. This sanctuary also hosts a large native plant and animal population. With over 690 species of native plants, more than 50 types of birds and numerous amphibians recorded, it hosts the most species of any MNA property. The Lefglen Nature Sanctuary is easily reachable using the directions listed below, there is also a map of the sanctuary which you can use to navigate the trails. From I-94 take the Grass Lake Rd. exit and head south on Mt. Hope Rd. To reach the North Trail park at the Wolf County Park and walk north to 4833 Wolf Lake Rd, head down the driveway at this address and turn left at the picnic table.To reach the south trail drive past the Wolf County Park and park in the turn-out just past Rexford Rd. Walk down the incline and to your left to find the trailhead.